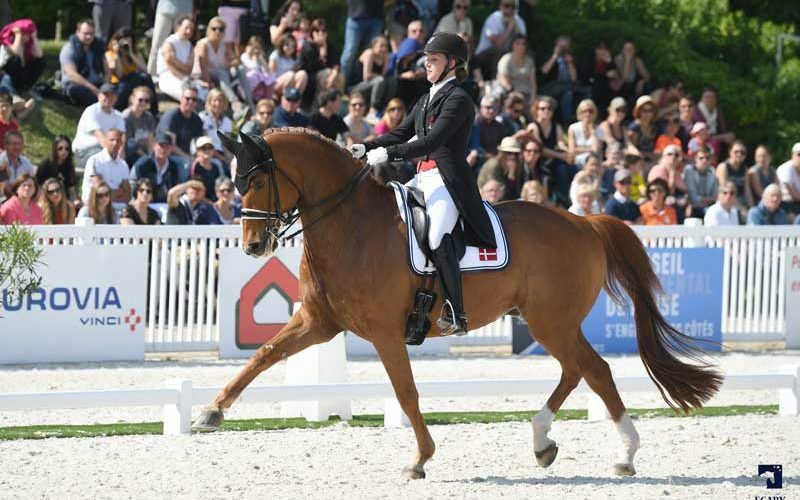 FEI Dressage Nations Cup: A 5 star Swedish team at Compiègne! 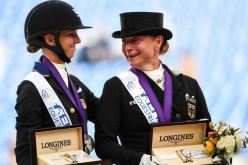 This Sunday, a dazzling sun, full stands and a great atmosphere were all present to applaud the crowning of Sweden, who took this Compiègne stage of the FEI Dressage Nations Cup. Already holding the overnight lead, the four Swedish team members made certain that they did everything they could to remain in this position, offering an absolutely top class technical and artistic display. Whilst as individuals, Juliette Ramel on Buriel K.H. 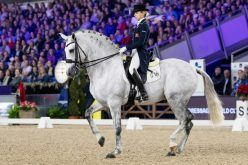 (SWE) and Cathrine Dufour with Atterupgaards Cassidy (DEN) respectively claimed victory the CDIO 5* Grand Prix Special and the Grand Prix Freestyle. A lead that was kept by the Swedish team at the end of the Grand Prix Special – Mauboussin. A family affair, with the judges won over by the performances of two Scandinavian sisters, at the top of the placings: Juliette Ramel who was already 2nd yesterday, she headed the class riding Buriel K.H. (75.532%), followed by Antonia Ramel on Brother de Jeu (72.596%). 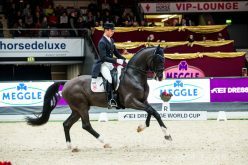 Belgian Jorinde Verwimp was 3rd with Tiamo (71.617%). Also called to the prize-giving was French competitor Bertrand Liegard, 6th with Star Wars (69.447%). 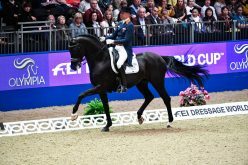 The CDIO 5* Grand Prix Freestyle FEI Nations Cup – Crédit Mutuel Nord Europe followed, giving the public, ever fascinated by these extraordinary tests ridden to music, some great moments. 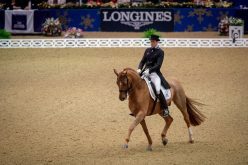 It was really without surprise that Danish Cathrine Dufour headed the class achieving over 80% for the first time at this show. 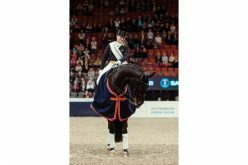 She left the arena on 84.250%, delighted with her ever improving horse: “ I’m really happy, even if I made a mistake at the start of my changes. I think he just slipped slightly in the corner”, she continued, “The first time that Cassidy came to Compiègne, he was very tense, even jumping the boards in the warm-up ring, and just before entering the competition arena he did it again, I nearly landed at X! I was a bit worried about coming back here but finally he behaved really well, he seems to love Compiègne, he was very calm, helped by this great weather and lovely sun. Yesterday (in the Grand Prix. Editor’s note.) I didn’t push him as we are just at the start of the season. This year I’m aiming at the World Equestrian Games at Tryon and must prepare progressively, even if he’s already in very good form. In today’s Freestyle, I put slightly more pressure on but without overdoing it either. I also chose music that I like a lot, more modern, and lighter than usual. I got the impression that Cassidy appreciates it too and dances ”. 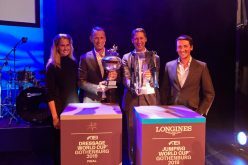 The second place in this Freestyle was occupied by Patrik Kittel and Well Done de la Roche CMF (78.950%) who, thanks to their excellent performance, confirmed the Swedish team’s supremacy, whist British representative Gareth Hughes partnering Classic Briolinca was placed third (76.825%). The Swedish team Chef d’Equipe, Bo Jena, gave her impressions : “ My riders have all been great! I’m very proud of my team! It’s the 2nd time that I’ve come to Compiègne, it’s a fantastic show, in a magnificent setting, extremely well organised, as much for the horses, who are well stabled, as for the riders. The food is excellent (she laughs), I hope to be back next year! We need now to concentrate on Uggerhalne (DEN) at the end of the month, but this time with adifferent team “. “ He is a young horse, 9 years-old, we came here without any particular aim, just the hope of a tidy performances. I am really satisfied and truly delighted “, declared the smiling rider at the prize-giving. 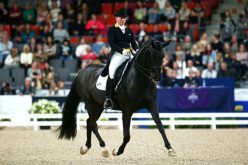 Third place was held by Belgian Jeroen Devroe and Hyrano (69.362%). Noteworthy also was the good performances of three French riders who finished in the top 8: 4th Stéphanie Brieussel/ Amorak (69.064%), 6th Barbara Clément Klinger/Dirbini (68.532%), 8th Rémy Issartel/Dark Pleasure (67.574%). Amongst the younger generation, a 100% Dutch podium in the Children’s Individual Test with Lara van Nek/Fariska (69.583%). A 24 strong Dutch delegation was present and they were decidedly very much in top form during the day’s Freestyles. Proof in the scores that soared in the Pony category for Evi van Rooij on King Stayerhof’s Jango (75.542%) 1th and Kiki Romney/Reedborder Amazing (74.375%) 3th, but also for British Annabella Pigdley/Ine (75.167%) who inserted herself between the two, taking 2nd place. High scoring performances also in the Young Riders, sponsored by Groupe Paprec, with Febe van Zwambagt who will have monopolised the placings this weekend, accompanying FS Las Vegas (75.758%), in front of Lina Uzunhasan/Donna Ray (USA) on 74.625% and Amber Barton/Labiat (71.933%). The Juniors came to an end with the test of Thalia Rockx/Gerda Nova (NED – 76.125%), who led in front of Marten Luiten/Fynona (NED – 73.333%) and Katelijne Maes/Ibou van de Kapelhoef (BEL – 72.958%).